Although the full details of the proposed plan have yet to be made public, the Palestinians have already made up their mind: Whatever comes from Trump and his Jewish team is against the interests of the Palestinians. 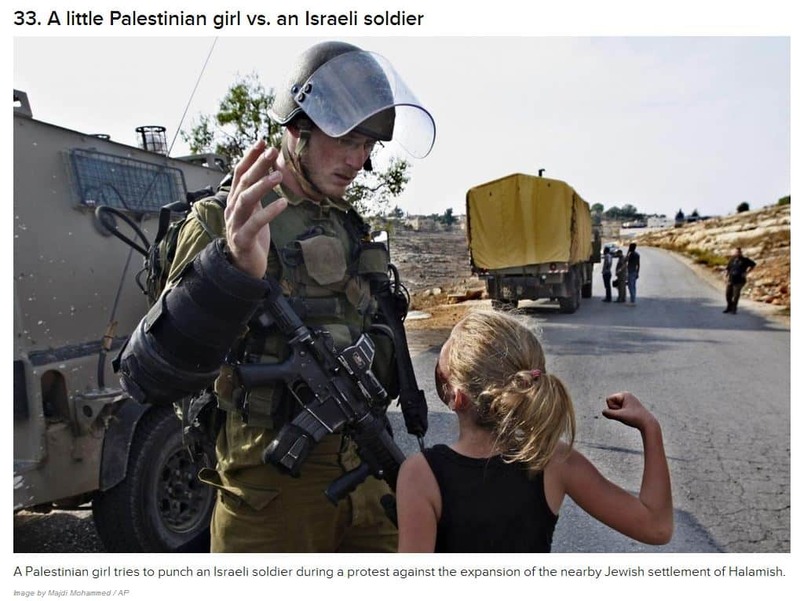 Take careful note: these warning shots may well be translated into yet another intifada against Israel under the fabricated pretext that the Americans and Israelis, with the help of some Arab countries, seek to strip the Palestinians of their rights. One wonders when the world will wake up to the fact that those rights have already been stripped from the Palestinians — by none other than their own brainwashing, inciting and corrupt leaders. Over the past year, the Palestinians have managed to keep under wraps their true feelings about US President Donald Trump and his Middle East envoys and advisors. In all likelihood, they were hoping that the new US administration would endorse their vision for “peace” with Israel. Palestinian Authority (PA) President Mahmoud Abbas ensured that his spokesmen and senior officials spoke with circumspection about Trump and his Middle East advisors and envoys. The top brass of the Palestinian Authority in Ramallah felt it was worth giving Trump time to see if he was indeed gullible enough to be persuaded to throw Israel under the bus and fork over their demands. Well, that bus has long passed. The Palestinians are now denouncing Trump and his people for their “bias” in favor of Israel. Even more, the Palestinians are openly accusing the Trump administration of “blackmail” and of seeking to “liquidate the Palestinian cause.” To top off the tone, the Palestinians are insinuating that Trump’s top Jewish advisors and envoys — Jared Kushner, Jason Greenblatt and David Friedman — are more loyal to Israel than to the US. The Palestinians’ unprecedented rhetorical attacks on the Trump administration should be seen as a sign of how they plan to respond to the US president’s plan for peace in the Middle East, which has been described as the “ultimate solution.” Although the full details of the proposed plan have yet to be made public, the Palestinians have already made up their mind: Whatever comes from Trump and his Jewish team is against the interests of the Palestinians. The Palestinian tone makes it clear that the Palestinian leadership and people have already relegated Trump’s peace plan to the trash-bin as nothing more than Israeli-American conspiracy, in collusion with some Arab countries, to impose a solution on the Palestinians and “liquidate” their cause. So what is really behind the Palestinian outrage with the Trump administration? First, the Palestinians reject the idea of “regional peace” between Israel and Arab countries. The Palestinians maintain that peace between Israel and the Arab countries should come only after, and not before, the Palestinian issue is resolved. The Palestinians fear that any peace agreements between Israel and the Arab countries would come at their expense. Echoing this fear, the Palestinian daily Al-Quds, which often reflects the views of the Palestinian Authority leadership, pointed out that the recent Arab League foreign minsters’ meeting in Cairo chose to focus on the Iranian and Hezbollah “threat,” breaking from the long-standing traditional obsession of the Arabs with the Palestinian issue. The Palestinians, according to the paper, feel abandoned by their Arab brothers. Second, the Palestinians are furious with US threats to shut down the PLO’s diplomatic mission in Washington. They see the threat as an attempt to blackmail them not file charges of war crimes against Israel with the International Criminal Court. The Palestinians also see the threat as an attempt to force them to resume peace talks with Israel unconditionally. Third, the Palestinians are now openly talking about Trump’s Jewish advisors and envoys and their “influence” on him and his administration’s policies. This is something that Palestinian Authority officials had refrained from mentioning in the past year because it rings of out-and-out anti-Semitism. Now, however, Palestinian officials and political analysts do not seem to have a problem talking about the influence of the “Jewish lobby” on Trump’s decision-making process and policies. Al-Batal expressed “regret” that the recent meeting of the Arab League foreign ministers chose to condemn Hezbollah and Iran. “Palestine is currently witnessing a crisis with Washington,” he said. The Palestinians want it to be seen as a plan concocted by a few Jewish officials in the Trump administration who are more loyal to Israel than their own country, the US. The Palestinians are also preparing the stage to accuse some Arab countries of “collusion” with this “conspiracy” — putting them on a collision course with Saudi Arabia. The Palestinian message to the Arab countries, especially Saudi Arabia, should be seen as a warning shot: Collaborate with the Trump administration in the alleged scheme at your peril. The anti-Trump Palestinian stance is sounding the death-knell for US administration’s effort to achieve comprehensive peace in the Middle East. Take careful note: these warning shots may well be translated into yet another intifada against Israel under the fabricated pretext that the Americans and Israelis, with the help of some Arab countries, seek to strip the Palestinians of their rights. One wonders when the world will wake up to the fact that those rights have already been stripped from the Palestinians — by none other than their own brainwashing, inciting and corrupt leaders. Now ten members of the “progressive caucus” of the Democratic Party are trying to give these terrorist leaders another reason for using even younger terrorists to kill even more innocent civilians. The bill fails to acknowledge that some of the most barbaric terrorist attacks against Jewish Israelis have been committed by Palestinian teens who have been recruited by terrorist leaders. Israel has a right — according to international law — to protect its citizens from constant terror attacks, even those committed by young Palestinians. Indeed, it has an obligation to do so. Palestinian terrorist leaders often use teenagers to commit acts of terror because they know that the Israeli legal system treats child terrorists more leniently than adult terrorists. Now ten members of the “progressive caucus” of the Democratic Party are trying to give these terrorist leaders another reason for using even younger terrorists to kill even more innocent civilians. It is well established that recruiting and using young Palestinians to wage terror on Israeli civilians is part of the modus operandi of Palestinian terrorist leaders. For decades, members of the radical Palestinian political and religious leadership have been stirring up young people to wage war against the Jews and their nation state. This was seen in the gruesome Intifada that began in 2000, in which Palestinian teenagers committed dozens of attacks against Jewish Israelis on buses, in cafes and at nightclubs. More recently—in what has become known as the ‘lone-wolf’ intifada — children as young as 13 have stabbed Israelis with scissors, screwdrivers and knives with the aim of inflicting maximum harm. Legislation proposed by members of the “progressive caucus” — entitled “Promoting Human Rights by Ending Israeli Military Detention of Palestinian Children Act” — does not explicitly state what constitutes a child within the context of its proposed cut in U.S. to Israel. While noting that children between the ages of 12-17 are held and prosecuted by Israeli military courts, the bill fails to acknowledge that some of the most barbaric terrorist attacks against Jewish Israelis have been committed by Palestinian teens who have been recruited by terrorist leaders. Consider the terrorists attack that took place over this past summer in Halamish (an hour outside Jerusalem) where a Palestinian in his late teens — from a nearby PA-controlled village — chose a Jewish house at random;, and fatally stabbed three members of a family as they ate Shabbat dinner. The Palestinian “child” murderer also wounded several other family members, while one mother hid her young children in an upstairs room until the terrorist left. This scene of carnage is reminiscent of a similar attack that occurred only six years earlier when two Palestinian teens armed with knives broke into the Fogel family home in Itamar as they slept on Friday night; the teens butchered the mother, father and three of their children — including a three-month-old baby as she slept in her crib. As a result of such terrorist attacks by Palestinian teenagers, Israel has had to introduce legislation to deal with minors who commit grave attacks. In August 2016, the Israeli parliament (Knesset) passed a bill allowing imprisonment of terrorists as young as 12. The bill also allows for leniency. The courts can not only postpone the convicted minor’s transfer date from a closed holding facility to prison, but can also shorten or cancel the prison sentence altogether, if warranted by the circumstances. In a desperate effort to justify her proposed legislation Congresswoman McCollum argued that, “peace can only be achieved by respecting human rights, especially the rights of children.” McCollum’s hypocrisy in this context is palpable. She claims to be an advocate for “the rights of children.” Yet the Congresswoman refuses to acknowledge or condemn the Palestinian leadership for perpetrating acts of child abuse by recruiting children to commit terror attacks on Jewish women and children. 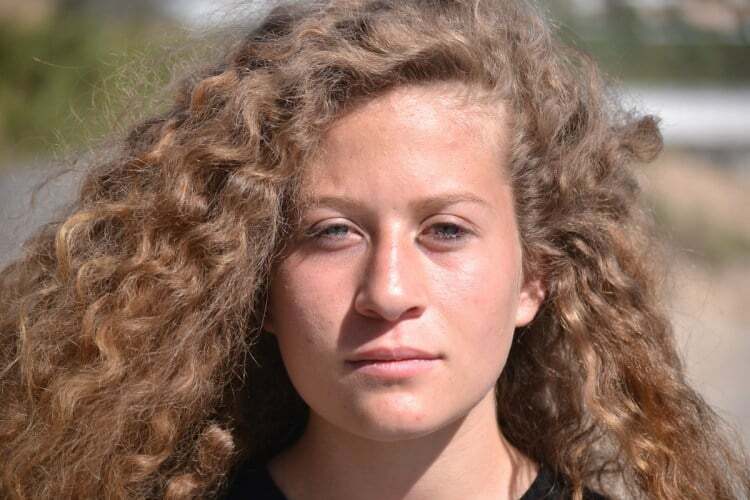 She expressed no outrage when members of the Palestinian leadership have been caught posting material on social media inciting and encouraging young Palestinians to go out onto the streets and stab Israelis. McCollum failed to protest when Hamas set up training camps — under the mantra “Vanguards of Liberation” — aimed at training children as young as 15 to use weapons against Israel, or when children in Gaza were crushed to death when the terror tunnels they were recruited to build by the Hamas leadership, collapsed on their bodies. So I ask: what do these members of Congress think Israel should do? If children as young as 13 or 14 were roaming the streets of New York, Los Angeles or Boston stabbing elderly women as they shopped at the supermarket or waited at a bus stop, would they protest the apprehension and prosecution of the perpetrators? Of course not. No country in the world would tolerate terror in its cities, regardless of the age of the terrorists. Israel has a right — according to international law — to protect its citizens from constant terror attacks, even those committed by young Palestinians. Indeed, it has an obligation to do so. If Israel were to be punished for trying to protect its citizens from teenage terrorists, it would further incentivize terrorist leaders to keep using children in pursuit of their key objective: wiping the Israel off the map. Meanwhile, rather than condemning the abhorrent and unlawful use of children as pawns in this deadly process, this group chose to single out only the nation-state of the Jewish people for punishment, as it tries to protect its own citizens from indiscriminate terror attacks. People of good faith on both sides of the aisle should call out this double standard for what it really is: an attack on Jewish victims of teenage terrorism and their state. For shame on this group of biased anti-Israel “progressive” Democrats, which include the following members of Congress: Mark Pocan (WI), Earl Blumenauer (OR), André Carson (IN), John Conyers, Jr. (MI), Danny K. Davis (IL), Peter A. DeFazio (OR), Raul Grijalva, Luis V. Gutiérrez (AZ), and Chellie Pingree (ME). They give a bad name to the Democratic Party, to the Progressive Caucus and to Congress. (Image source: Fox News video screenshot)Alan M. Dershowitz, Felix Frankfurter Professor of Law, Emeritus, at Harvard Law School and author of, “Trumped Up! How Criminalization of Political Differences Endangers Democracy,” which is now available. Congress is finally considering legislation to stop the Palestinian Authority from incentivizing violence…This has to stop, and the Taylor Force Act…attempts to do that. As it currently stands, the act would cut U.S. foreign assistance to the ‘West Bank’ and Gaza in its entirety if the “payments for acts of terrorism against United States and Israeli citizens …do not stop…. There should definitely be no ‘pay to slay’, but…[b]eing smart counts for more than being right. And the smart approach is one that also recognizes that innocent Palestinians…should not be forced to pay for the mistakes of a government they cannot control. – David Makovsky et al“The Smart Way to End ‘Pay to Slay’”, Foreign Policy, August 2, 2017. The need for a punitive response to the egregious “pay for slay” custom of the PA was conceded by the previously mentioned Washington Institute article, entitled “The Smart Way to End ‘Pay to Slay’”. However, it cautions against an across-the-board cessation of US funds to the PA, calling for a more nuanced (read “watered-down”) application of the punitive cuts: “Threats of sweeping cuts to Palestinian aid may hurt the cause more than they help.” They warn that “To entirely defund U.S. aid to the ‘West Bank’ and Gaza is…to halt economic and social progress there”, proposing instead an approach that “recognizes that innocent Palestinians…should not be forced to pay for the mistakes of a government they cannot control”. However, not only did the last elections show a vast endorsement of rejectionist views (both Fatah and Hamas –and the PFLP–vehemently reject any recognition of Israel as the nation-state of the Jews), but recent public opinion polls provide little cause for optimism that this is likely to change.Indeed, should Abbas leave his post, the most popular candidates are Fatah’s Marwan Barghouti, currently serving multiple life sentences in Israel for a myriad of lethal acts of terror, and Hamas’s Ismail Haniyeh. Palestinian terrorists and their families are receiving far higher payments than welfare recipients, according to an analysis of the Palestinian Authority’s (PA) budget by The Middle East Media Research Institute. A family on welfare receives less than $170 per month, while the PA pays Palestinian prisoners a maximum monthly payment of roughly $3,340 – more than 20 times more than a needy Palestinian family. By amending the Palestinian Prisoners Law in 2010, PA President Mahmoud Abbas increased monthly installments from approximately $275-$1,110 per month to $390-$3,340. The practice triggered a civil lawsuit by American victims of Palestinian terrorism. A jury awarded the victims $210 million in damages, which under law would be tripled. Evidence indicated that payments from the second Palestinian intifada were approvedby then-PA President Yasir Arafat. But an appeals court found the U.S. District Court in New York lacked the jurisdiction to hear the case, wiping out the judgment. Today, a terrorist’s socioeconomic status is not factored into the salaries. Payments to released prisoners and jailed Palestinians are based on the length of a prison sentence, which is a function of their action’s severity. The more brutal the attack or murder, the more money a Palestinian prisoner gets. Even jailed Israeli Arabs receive terror salaries – almost $140 more than prisoners with PA residency. The detailed PA budget is concrete proof that the Palestinian government systematically incentivizes terrorism through financial compensation. This comes as a U.S. Senate committee approved legislation earlier this month to suspend aid to the PA until it stops its financial support programs for Palestinian terrorists and their families. The PA budget clearly shows how the PA prioritizes segments of Palestinian society – people who try or succeed in killing Israelis above all else.